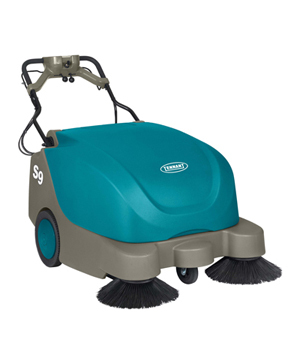 ​​Clean large indoor and outdoor areas quickly and effortlessly with dual side brushes and self-propelled operation. Quiet 62 dBA sound level and maintenance-free batteries make cleaning safe, anytime, anywhere. The S9’s durable roto-mould design is backed by a 10-year Tennant.